Bottle or breast, which is best? As far as we are concerned a fed baby is a happy baby. So, how does a new mom navigate this new baby feeding game? We've got a few great hacks for you. 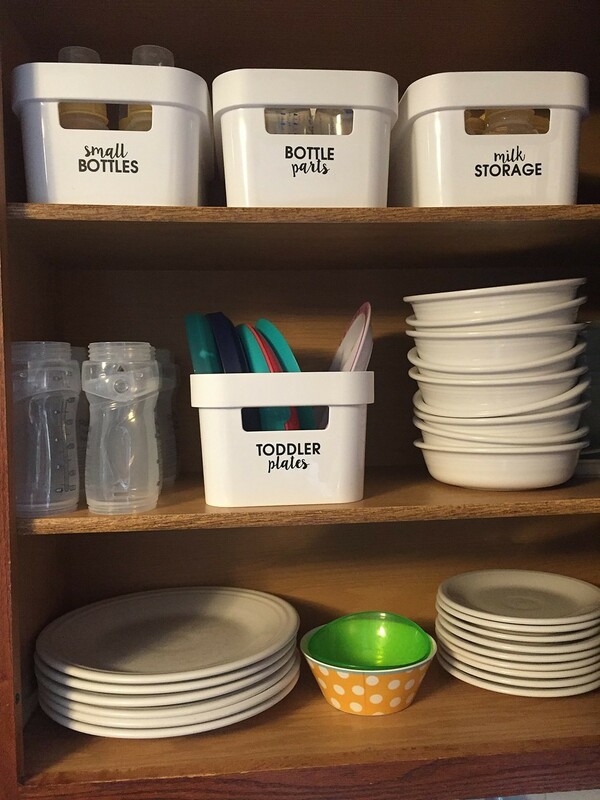 You don't need a fancy set of supplies for organizing all the pieces and parts needed for feeding baby – a few containers that work with your decor with a handy-dandy label maker is all you really need. Don't be afraid to put those supplies in with your regular kitchen items. It makes mealtime a one-stop shop in your cabinet this way. We love items that do double duty. Kristen from Really, Are you Serious? 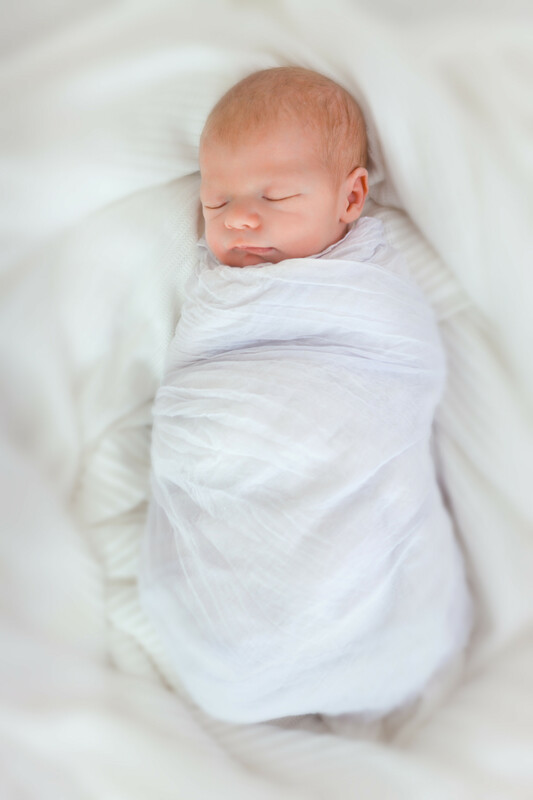 figured out how to make her swaddle blankets work as nursing covers by simply making a few key ties in the blanket and attaching it to your clothing. 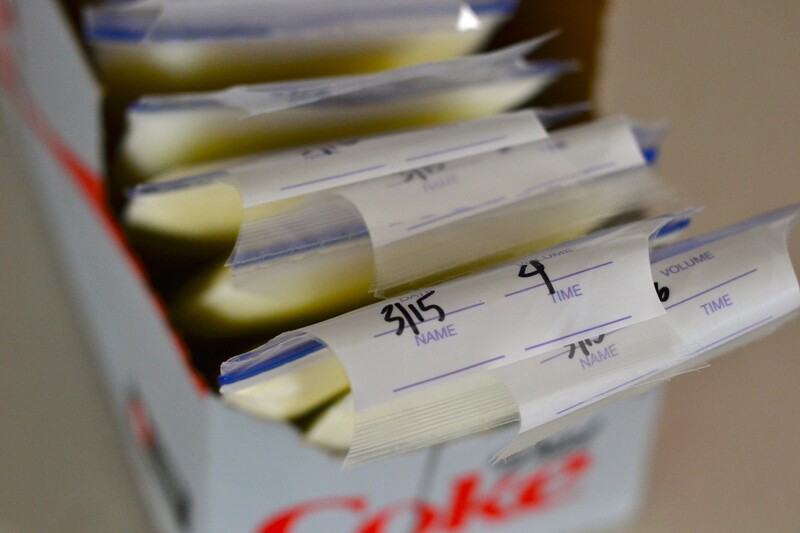 Val from Lovely, Lucky, Life has a brilliant upcycle hack for storing your breastmilk. Soda boxes! Freeze them flat, then line them up in boxes with their dates showing to ensure proper rotation of your supply. Love your stainless steel coffee tumbler? 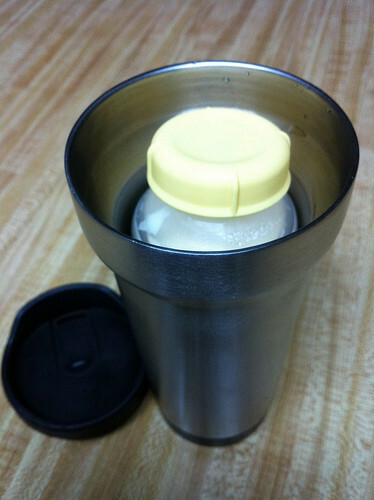 It has a dual purpose – keep your coffee warm OR keep a bottle of milk warm. Fill the tumbler about 1/3 the way with hot water, then drop in your smaller sized bottle (Medela breast pump bottles are a good size) and seal it up to maintain warmth on-the-go. Who needs those fancy warmers? Not us! When your child is just learning to hold their own bottle, it can be a tricky process for a while. They often can't keep their grip, that is, unless you use this brilliant hack. 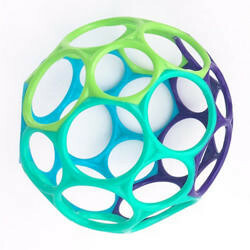 Create a 'Bottle Cage' using a classic Oball. You cut out one joint of the ball and slide your bottle in. Check out these instructions to learn how to create your own. Once the bottle is settled into it's 'cage' your child will have an easier time gripping and hanging on to their bottle. Tube top + crop top = genius (no-sew) hack for a DIY nursing top in the video below. If you're into upcycling old tops and know how to sew, here's a great tutorial for taking two old tops and making them into a nursing top. Feeding baby in the bottle and breastfeeding years takes a lot of your time and energy. It's important to take care of baby, but equally as important to ensure you're doing well too. 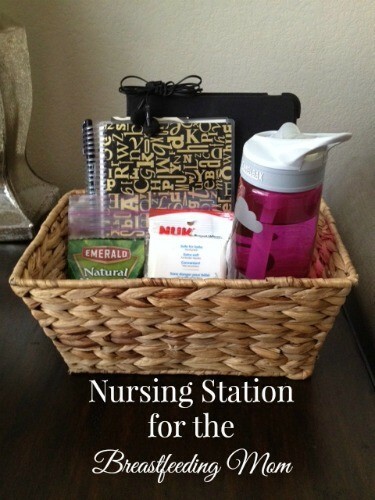 Stock a nursing station with essentials that help you stay nourished as well – water bottle, snack bars and more. Check out more info on Life Anchored. What are your go-to mom hacks for feeding baby? Share your tips, faves and more in the mom.life app with other moms like you!